Paper thin slices of steak, sautéed golden onions, fresh red pepper and Sunset Campari tomatoes, California Black Ripe olives, shredded lettuce, grated cheddar and Parmigiano-Reggiano, avocado mayonnaise, chipotle dressing on a warmed, toasty ciabatta loaf. 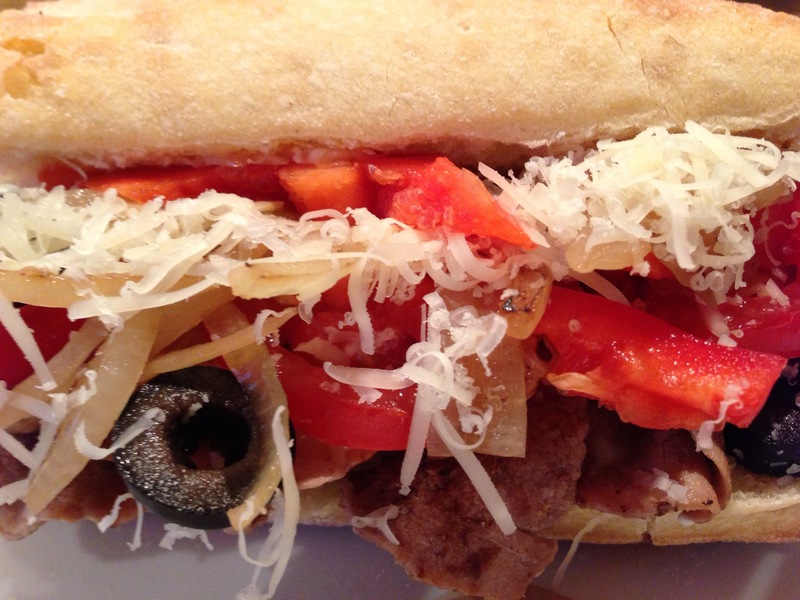 The Ghost and the Inscrutable Dr. Fu get Sandwich 101 lessons – Culinary school Chez Nous. Go and grab something delicious in the Weekly Photo Challenge: Lunchtime. Oh, this looks way too good!!! It was better than anticipated! You should try a juice cleanse-tasty and we lost over 5 lbs in 4 days! Why am I looking at these pictures at dinnertime?? I know what I’m having! !